How to attract Russian specialists to mega science? ''The training of specialists for the implementation of the national program in fusion should be considered as one of the key tasks of Russia's participation in ITER,'' said Anatoli Krasilnikov (left), head of the Russian Domestic Agency for ITER. Participation in large-scale, unique international scientific and technical projects is among the most important orientations for Russia's R&D potential today. Without a doubt, the specialists capable of solving the most demanding and sophisticated tasks in this type of project are a very valuable resource. 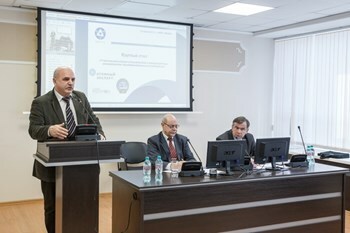 How to attract domestic specialists to this kind of project was discussed on 12 March at the Moscow Engineering and Physics Institute, (MEPhI) within the framework of a round table dedicated to the "Participation of Russian specialists in international megaprojects: fundamental research." The round table was held by the magazine Atomic Expert and supported by the Strana Rosatom newspaper. Important questions discussed during the round table were: How to develop a long term strategy for the participation of experts? Which resources and administrational solutions are required? On the efficient resolution of these issues depends the success of Russia's collaboration in megaprojects, as well as the development of Russia's fundamental R&D base. The round table was moderated by Deputy Director of Rosatom's Innovations Management Complex, Oleg Patarakin, and the Pro-rector for Research at MEPhI, Anatoly Petrovskiy. Anatoli Krasilnikov, head of the Russian Domestic Agency for ITER, presented a report on the human resource policy for the implementation of the ITER Project. 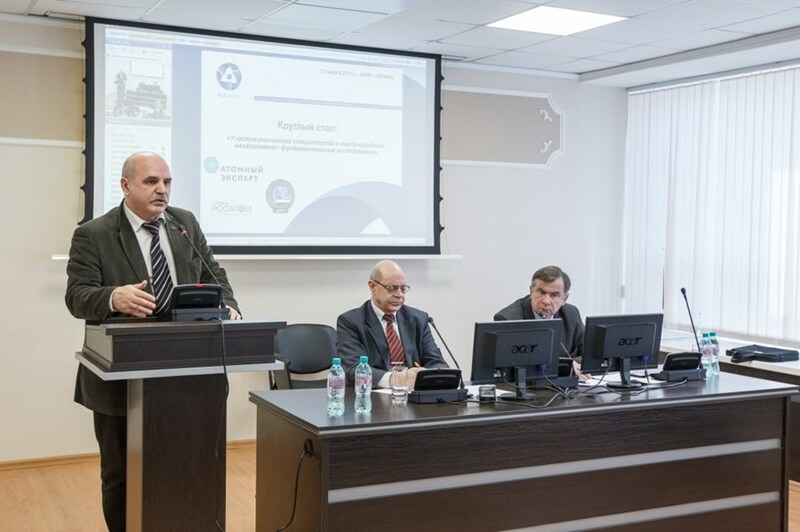 In his estimation, "the training of specialists for the implementation of the national program in fusion should be considered as one of the key tasks of Russia's participation in ITER. We should work out and realize a rational system of staff training." Oleg Patarakin also put an accent on the strategic importance of the ITER Project. "ITER is a project of the highest world level, at the very core of science and technology. The project has long-lasting prospects, and specialists have the possibility of linking their professional lives to it." The round table participants shared the common opinion that attracting young people to megaprojects is a task requiring a complex approach that should be addressed by educational and research organizations, as well as legal bodies on different levels. For Russia, one of the main conditions of successful staff training is the development of long-term research programs.